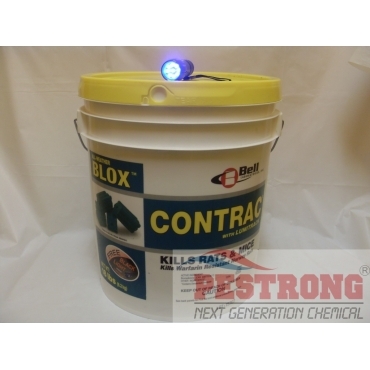 Where to Buy Contrac Blox with Lumitrack, Contrac Lumitrack All Weather Blox Rodenticide - 18 Lb - $85.95 for Sale with Fast Free Shipping! 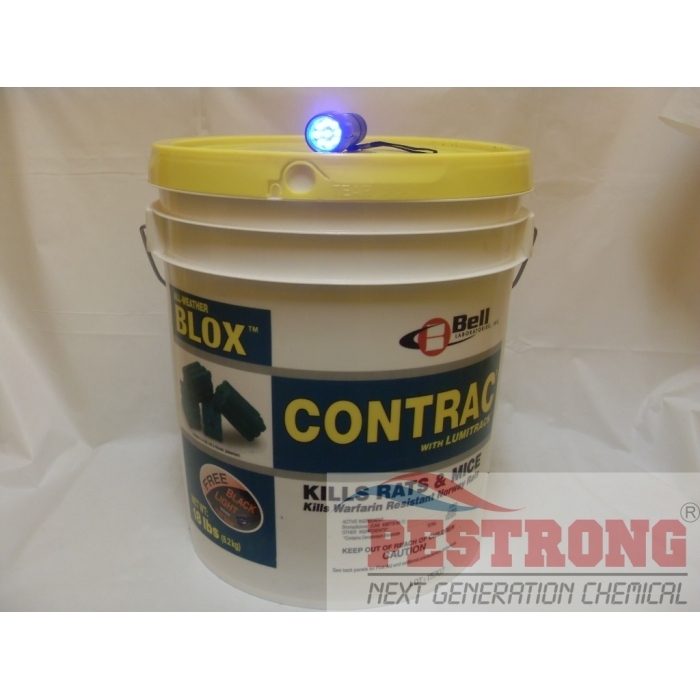 Contrac Lumitrack All Weather Blox Rodenticide - 18 Lb uses the same reliable contrac formula PCOs have grown to trust, but in addition to Lumitrack, this formula also incorporates a new preservative system that inhibits mold growth even under harsh conditions. 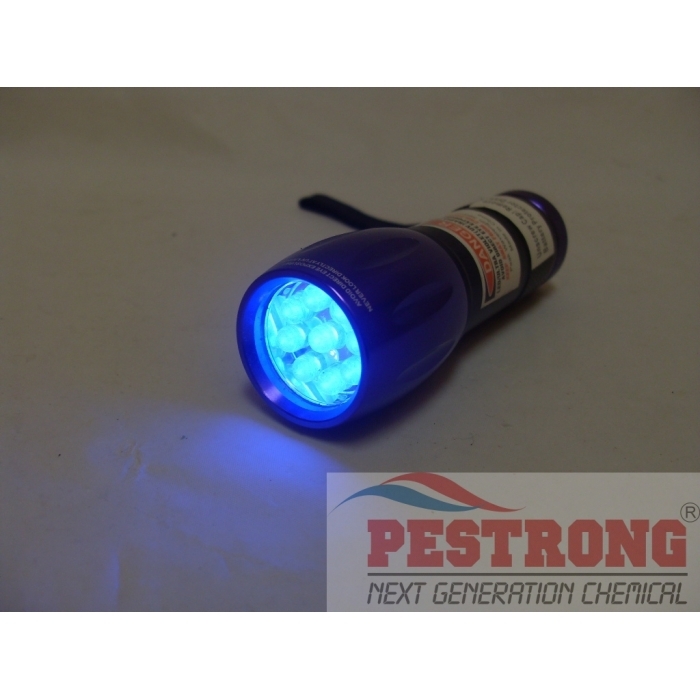 Bell Laboratories' popular rodent bait, CONTRAC, is now available with Lumitrack, a special additive that makes rodent droppings glow bright green under UV light(include one UV Flashlight). CONTRAC with Lumitrack is a single-feeding anticoagulant rodenticide containing the active ingredient, Bromadiolone. 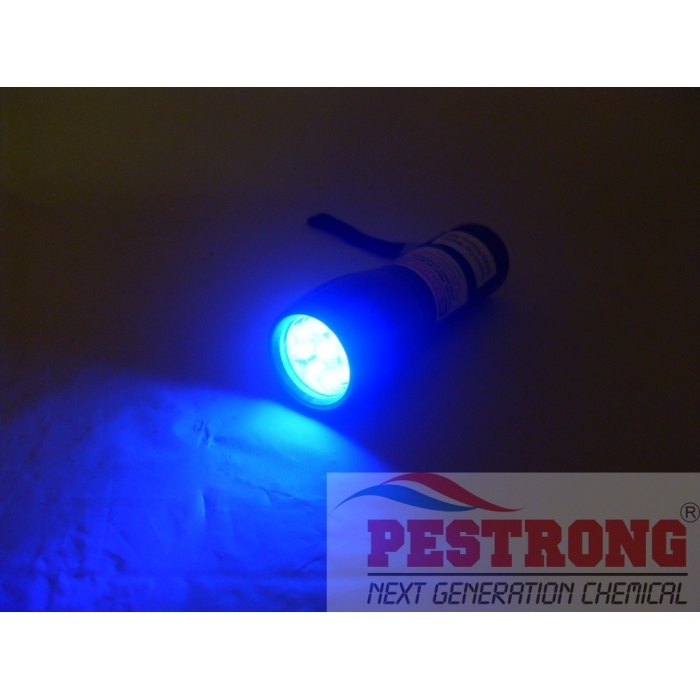 Include Blacklight Master 390nm UV(Ultra Violet) Flashlight with 3 x AAA Battery --- Avoid direct eye exposure! Block and light make my job easy. light is small, but works great and bright enough.